You are invited to join Breakthrough Manchester for their "Back to Summer" breakfast on Wednesday, May 17 at Southern NH University from 7:30-9:00 a.m. Breakthrough Manchester is a remarkable program that provides six continuous years of tuition-free academic enrichment and support for bright students in Manchester who have limited opportunities. The Derryfield School initially established Breakthrough (originally called Summerbridge) in Manchester in 1991, and the school continues to host the summer session for middle school students on its campus each year. Thanks to major sponsors, Cityside Management Corp. and Southern New Hampshire University, there is no cost to attend the breakfast, and you will have a chance to meet and speak with some of the students and the college-age Teaching Fellows in the program. We are particularly interested in spreading the awareness of Breakthrough beyond the Derryfield community, so please feel free to invite friends and colleagues to join you, especially those not otherwise affiliated with the school. Please note: The Derryfield PFA Benefit is scheduled for May 13, the Saturday immediately preceding Breakthrough's Breakfast. Many Derryfield families choose to support Breakthrough generously at the Benefit; the "Back to Summer Breakfast" is the program's annual effort to raise support beyond the Derryfield community and for those who want to learn more. You can register for the Breakfast here: http://bit.ly/BackToSummer2017. 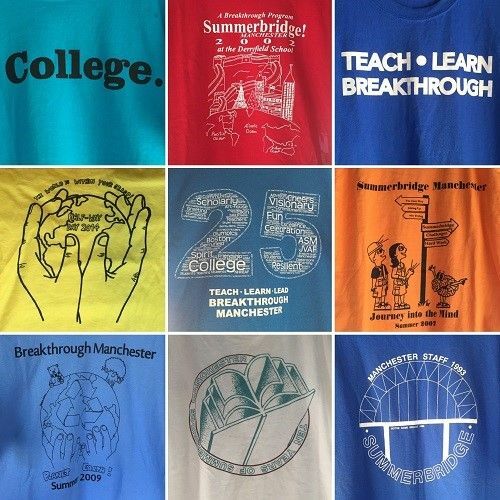 For more information, visit the website at www.breakthroughmanchester.org. Please feel free to share this information with anyone else who is interested in college access, closing the opportunity gap for kids, or college and career readiness.